What was happening outside the movie theaters at this year's AFI FEST 2017 was more provocative than the movies screened inside. The traditional programming contained Oscar-worthy movies as always, but the withdrawal of the festival's only world premiere movie, "All the Money in the World," was a wake-up call on civil rights and women. From the first day, when Netflix's "Mudbound" opened the festival on Thursday (Nov. 9), until the Sunday (Nov. 12) "Molly's Game" was announced as the festival's closing gala movie, the shadow of #MeToo as a sexual harassment in the workplace movement put a damper on the usual pre-Oscar excitement. "All the Money in the World" was withdrawn after fellow actor Anthony Rapp accused Kevin Spacey of making a sexual advance toward him when Rapp was 14. Spacey had played oil tycoon J. Paul Getty Sr. in the TriStarr movie about the kidnapping of grandson John Paul Getty III (Charlie Plummer), but was being replaced by Christopher Plummer in a race to keep the same December release date. More than one fest attendee looked toward the future when one would be able to compare the Spacey and Plummer versions. Coincidentally, that Sunday was also the day #MeToo protestors (USA Today reported 200 to 300 but The Guardian reported thousands) peacefully demonstrated, walking from the main site of the festival, Hollywood Blvd. and Highland Ave. to the CNN building at Sunset and Cahuenga boulevards, chanting slogans like "Not in pots, not in plants, keep your junk inside your pants," and "Harvey Weinstein is a joke, women workers just got woke." Speakers included State Sen. Connie Leyva (D-Chino), TV journalist who made accusations against Harvey Weinstein Lauren Sivan, and #MeToo originator Tarana Burke. The march only caused a slight disruption to the special screening of Helen Mirren and Donald Sutherland's "The Leisure Seeker" at the Egyptian. Mirren and Sutherland introduced the screening and Mirren noted the demonstration as a necessary and important conversation while wondering if it prevented some attendees from making it to the theater on time. After the movie concluded, some attendees like myself had to miss Mirren's Q&A to make the other special screening of the day: "Film Stars Don't Die in Liverpool," starring Annette Bening at the TCL Chinese Theater, a brisk 10-minute walk from the Egyptian. "The Leisure Seeker" and "Film Stars Don't Die in Liverpool" made a romantic double bill looking at not how love begins, but how it ends. Based on Michael Zadoorian's novel and directed by Italian Paolo Virzì—his first full English language feature, "The Leisure Seeker" tells the story of an elderly couple, Ella and John, who embark on a cross-country journey from Boston to the Florida Keys to see the Ernest Hemingway House and Museum in Key West, a place that the husband always wanted to visit. Along the way, Ella copes with her husband's dementia, each night attempting to bolster his memories with slideshow quizzes while keeping her own dark secret. The "Film Stars Don't Die in Liverpool" screening was attended by Annette Bening and her husband Warren Beatty as well as Bening's co-star Jamie Bell and English musician Elvis Costello. "Film Stars Don't Die in Liverpool" is based on Peter Turner's account of his romance with the much older Oscar-winning actress Gloria Grahame (1923-1981). Whether this brave portrayal of Grahame's tragic last years will finally bring Bening an Oscar was one topic of conversation at the small private concert by Costello which was hosted by Bening and Bell after the screening. Costello began with the song he composed specifically for the film, "You Shouldn't Look at Me that Way." While women's civil rights issues are at the center of the current industry shake up, two documentaries looked at the past public unrest on race and government trust: the first major feature film on Sammy Davis Jr., American Master's production "Sammy Davis Jr.: I Gotta Be Me" and the six-part Netflix documentary by director Errol Morris, "Wormwood." One tends to forget how controversial Davis' romance with beautiful white women was at the time (His second wife was Swedish actress May Britt) and how he embraced Richard M. Nixon. "Wormwood" is a bitter journey of a son investigating the government's involvement in his father's 1953 death. Morris uses a collage effect along with atmospheric re-enactments to us the possible realities of a scientist's death and a son's ruined life with plenty of Hamlet references. Technology has made #MeToo activism possible and more powerful, but technology also challenges the movie industry and its traditions in another way: augmented and virtual reality. Between Saturday and Tuesday (Nov. 11-14), AFI FEST's Tech Showcase featured a sampling of games (e.g. "Life of Us" where you and a partner have a hoot helping and interacting with each other as you develop from a single-cell organism to a dancing post-human robot), virtual experiences and immersive storytelling shorts. Especially notable were "Tree" and "Dear Angelica." In "Tree," you plant a seed in real life and then become the seed in a virtual reality experience that takes you from under the ground to towering above the forest. "Dear Angelica" is an entirely hand-drawn 360 experience where you are almost embraced by the lyrical lines of this animation experience about a girl who misses her famous mother. Another VR experience, "Hallelujah" suggested the future for experiencing music and music videos. The viewer is at the center of a performance where at first a single person replicated is singing all the harmonies of Leonard Cohen's "Hallelujah" and then is just one person joined by a choir in an impressive cathedral. You don't have to actually be at a museum to experience a museum in "Harold Lloyd Stereoscopic Museum" which allows one to walk through a museum of Lloyd's stereoscopic photography while standing/sitting in one place. I missed the space geek special, "Fistful of Stars," which was only shown Saturday through Monday and used imagery from the Hubble Space Telescope. I had hoped to compare it to the mixed reality experience I had last year at the NASA Jet Propulsion Lab using a Microsoft HoloLens and the software OnSight. OnSight allows scientists who might be in different geographical locations to "work" and "walk" on Mars using data collected from the Curiosity Mars Rover. A controlled version was used as part of a presentation at NASA's Kennedy Space Center Visitor Complex. During the same private press demonstration, I learned about software application that processes 3D spacecraft designs into holograms: ProtoSpace. During the demo, I was able to examine the plans for the 2020 Mars rover. While none of the augmented reality or VR reality are on the Oscar trail, 13 official Best Foreign Language Film Oscar entries were screened at AFI FEST, including Ziad Doueirl's "The Insult" (Lebanon) which went on to win the Audience Award in World Cinema. "The Insult" looks at resentment toward Palestinian refugees. Iram Haq's "What Will People Say" which explores a woman dealing with the culture clash while making life choices, won the Audience Award for New Auteurs. Joseph Kahn's tale about a white boy and rap battle vernacular, "Bodied," won the Audience Award for American Independents. A year ago, "What Will People Say" (Hva vil folk si) might have been interpreted differently. 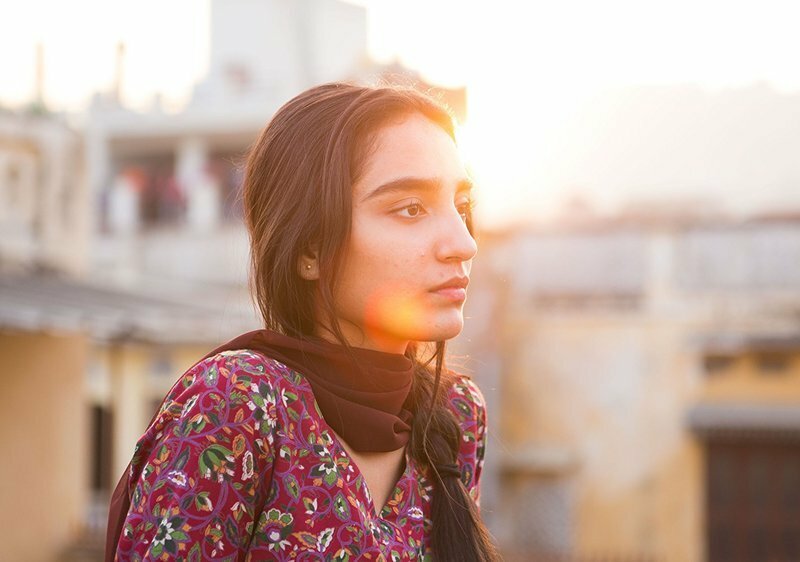 This sensitive Norwegian movie about a 16-year-old ethnic Pakistani girl in Norway (Maria Mozhdah) who is sent back to her parents' homeland after a local scandal is based on the personal experiences of writer/director Haq. With the heightened prejudice against Muslims in the US, the movie serves as a reminder that sometimes women need refuges from their own families. While the portrayal of Norway is positive—without indications of prejudice toward Islam or racism toward Asians, patriarchal controls like sexual harassment have come under scrutiny there this year, particularly after the #MeToo campaign in Sweden revealed "that every third female writer, journalist or editor in that country’s media industry has considered leaving the profession as a result of sexual harassment experience at work" according to TheLocal.No. The AFI Jury gave its Grand Jury Award for Live Action Short to Farnoosh Samadi's "Gaze" and its Grand Jury Award for Animated Short to Niki Linroth von Bahr's "The Burden." There were no jury awards for feature films. The awards were announced Friday afternoon, after the close of AFI FEST, instead of on the last day, Thursday, before the closing gala. The withdrawal of Spacey flick changed the final day into another woman-centric double bill with the late afternoon screening of "I, Tonya" (which had also screened the night before) and the gala screening Aaron Sorkin's directorial debut, "Molly's Game." Both screenings of the Olympic Bad Girls bill were packed and both films were fun and intelligent portrayals of tough women. They were also a reminder that girls and women—good and bad—can shake up traditions when they revolt and speak up.